Did you know the death rate of cervical cancer has declined by more than 50% over the last 30 years? According to the American Cancer Society, this is thought to be from the effectiveness of the routine Pap test screening. This is just one example of how impactful preventive exams can be. An annual physical exam can be a source of reassurance for being healthy or an alarm system to discover health problems in the early stages for everyone. From either perspective, physical exams can play an important role in the health of your employees. When health issues can be prevented or found in the early stages, they are typically easier to treat. This means less time off of work, fewer health claims, and (most importantly) a healthier employee. By ensuring employees are current on preventive measures, including cancer screenings, physical exams, and immunizations, it can result in more productivity and cost savings in the long run! 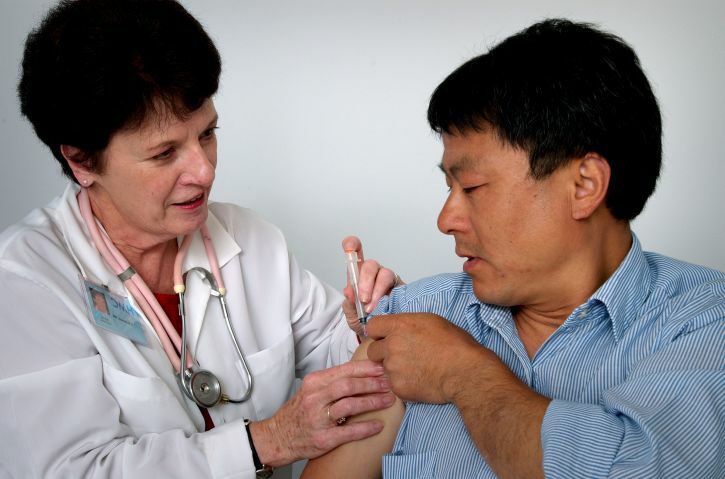 What can I, the employer, do to promote physical exams and immunizations? Provide coverage for preventive health screenings. A common barrier to scheduling a physical exam or screening is the fear of it being a large expense. By communicating the insurance coverage related to preventive exams and immunizations, it can help ease this concern and make employees more likely to complete them. Offer your employees the convenience of vaccinations right at work. Collaborate with a local health organization to provide an onsite immunization clinic, such as a flu-shot clinic each fall. Provide vaccination or preventive screenings cards to employees to keep in their wallet or their health file. This can help employees keep record of which items they have completed or need to schedule. How can my organization help raise awareness about physical exams and immunizations? Post flyers or provide a handout that lists the recommended physical exams or screenings for various age groups and both genders. Have an employee volunteer to share their story regarding how their life has benefited from a screening or physical exam. Their story could be included on the company intranet or newsletter to provide a firsthand experience on how preventive exams can impact one’s life. Interested in additional ways to promote physical exams and immunizations? Well Nation® can help. At Well Nation®, prevention is important us—prevention is the key to your employees’ health and the key to saving your organization money. Through our comprehensive suite of easy-to-use resources and tools, Well Nation® leads the way in engaging employees in the prevention of chronic diseases. From targeted wellness coaching to earning Champion Rewards™ points for the completion of preventive exams and immunizations, Well Nation® offers a library of convenient and engaging tools and resources aimed at helping employees improve their health for a lifetime.